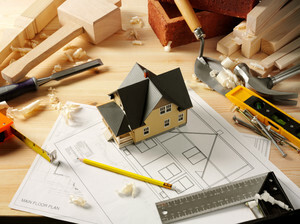 Australians are renowned for their obsession with property, in particular renovation and DIY. A successful renovation can be measured in many different ways, but the most important measure is that the renovation meets your needs, now and in the future. Here are some simple steps to get the most out of your renovation. A successful renovation needs to address not only how you want to live now, but also in the future. Take the time to think about how long you intend to stay in the property and what you need from the property during this time period. For example, a home designed for a young family may not meet the needs ofa teenage family. If you are renovating with a partner this is critical to ensure you are on the same page. Your discussions should cover the ‘must do’ repair and replacement items through to the ‘nice to haves’ like decor and furnishings. It is important to list the things you love about your home that you would like to retain. Using the first two steps you will now be able to document your renovation goals. For maximum results this should be broken down to the specific area of the house affected, the existing problem, the new features you want and how you want to use the renovated space. Talk to your friends who have completed renovations or use a reputable source such as the Housing Industry Association (www.hia.com.au). 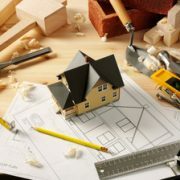 Select a builder who is well presented, punctual and reliable in the initial quote stages as this is generally a good indicator of how they will operate once the renovation begins. There are many ways you can elect to finance your renovation. Options range from taking out a personal loan or line of credit, refinancing your existing home loan or utilising the equity you have built up in your home. All these options have advantages and disadvantages and the best method will depend on your personal circumstances and your existing financial arrangements. By following these simple steps you are closer to ensuring that your renovation runs smoothly and results in a home that improves your quality of life now and in the future. 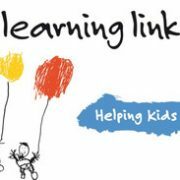 Indigo Finance are very proud to have sponsored Counting for Life through Learning Links at Old Guildford Public School in Term 2, 2016. This proven 10 week program has provided amazing results for all children, with some children achieving significant improvement in their numeracy. 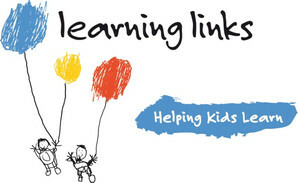 If you are looking for a charity to get involved with in 2017 please find out more information on Learning Links here: http://www.indigofinance.com.au/news/learning-links/. They have opportunities to sponsor programs and also for volunteers who want to make a difference. Just ask me if you are keen to help! Are property prices set to drop in the next three years? Things could be looking up for homebuyers, with a new report forecasting a drop in property prices over the next three years. But could this also signal the end of the Australian property market golden era? According to BIS Shrapnel’s Residential Property Prospects 2016–2019 report, median house and unit prices in our capital cities will be lower by 2019. This is due to a perfect storm of slower population growth, falling immigration levels and an oversupply of new homes. The Australian Prudential Regulatory Authority’s recent work to tighten lending standards has slowed investor activity, also contributing to the downward trend. Investors have previously been a huge driver of market demand, particularly in Sydney and Melbourne. In Darwin and Adelaide, median house prices are forecast to drop by two per cent by June 2019. That’s around nine to ten per cent in real terms, given the general rise in the cost of living and wages over that period. Darwin will continue to be affected by oversupply, falling resource sector investment and weak population growth, while Adelaide faces the closure of its Holden factory in 2017. Surging house prices in Melbourne and Sydney could also slow considerably, with BIS Shrapnel predicting a fall of one per cent in these capital cities. Perth is expected to be hit hard, as it continues to feel the fallout from the mining boom. Prices in the west coast capital could drop around eight to nine per cent in real terms for houses, with potentially even bigger falls for units. The strongest performers, according to the report, will be Brisbane, Canberra, and Hobart. Are apartments at more risk? Apartments, which are being built at record rates in most capital cities, could be affected more than houses. According to BIS Shrapnel, 220,000 new dwellings began construction in 2015–16, with a record 49% expected to be multi-unit dwellings. A large number of apartment complexes will be finished in 2017–18, potentially leading to an oversupply, lower rents and a drop in value. The median unit price over the next three years is expected to drop by eight per cent in Melbourne, five per cent in Sydney and six per cent in Brisbane. After several years of high property prices and a tough market for new homebuyers, the tide could now be turning – it just might take a few years. http://www.indigofinance.com.au/wp-content/uploads/2017/03/default-v2.jpg 198 300 wsadmin http://www.indigofinance.com.au/wp-content/uploads/2017/01/indigo-finance-logo.png wsadmin2016-10-24 02:42:372017-03-09 02:30:31Are property prices set to drop in the next three years? Outgoing Reserve Bank governor Glenn Stevens stated that the only way for young people to get onto the property ladder in Australia’s most heated market – Sydney – is with the help of their parents. He’s not alone. A survey we conducted earlier this year found that nearly 30% of parents were worried whether their children would ever be able to buy a home. What do we do when our children need assistance to get into the property market when as parents we are not in a financial position to help them? acting as a guarantor (although the drawbacks need to be considered here). In 2016, more than one third of 18-34 year olds still live with their parents. If the purpose is to allow the adult children to save a deposit then parents need to make sure it happens. Failure to save will place pressure on both parents and children with neither benefiting. Parents on a pension also need to ensure that there are no adverse consequences of gifting. Some lenders have a loan product known as a family pledge. Parents or other family members are able to use equity in their own property as additional security. This product is aimed at home buyers and investors who have the ability to repay the loan but lack sufficient funds to meet the deposit and other upfront costs. Regardless of the preferred option, it is imperative that all family finance scenarios be carefully considered in terms of both current AND future needs of both parties. 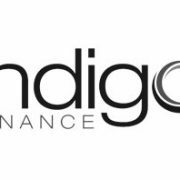 http://www.indigofinance.com.au/wp-content/uploads/2017/03/default-v2.jpg 198 300 wsadmin http://www.indigofinance.com.au/wp-content/uploads/2017/01/indigo-finance-logo.png wsadmin2016-10-15 02:39:172017-03-09 02:31:07Family…to help or not to help?